Another episode where Fry saves the world with his complete uselessness. Also, another episode where Fry nearly dooms the world with his stupidity. 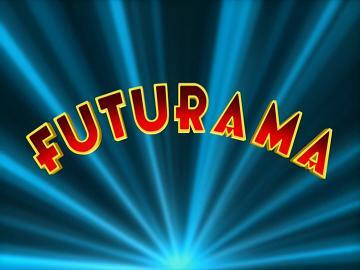 This is one of the more packed episodes of Futurama. It makes 22 minutes seem much longer, in a good way. It is also a bit damning of the movies just how much this episode gets done compared to them but that is a discussion I’ll save for the movies. On with the episode. It starts with a cold opening of Fry ruining a TV broadcast of Single Female Lawyer, as well as establishing Fry’s love of TV. After the credits, we see that that has no changed for him in the future. In order to get Fry out of the house and possibly deal with his bedsores. This sets up the first of this episodes three mini-plots: a day at the beach. The beach seen is almost Futurama at its best. There is not plot here, just a series of character based beach gags. It hits all the characters basic jokes: Prof. Farnsworrth is old, Zoidberg is…, Fry is dumb and lazy and Leela has no luck with men. It is also clear that there is no clear idea of what to due with Hermes. He is above them in the company, but other than being bossy and having a Jamaican accent there is nothing to him. It is not complex comedy, though some of the gags are clever, but it is actually very funny. But it is definitely not enough to carry an episode. So after 3 or 4 minutes of beach fun the next plot starts. If read the episode title, you already know what is coming next. Aliens attack. Enter Lrr and Ndnd from the planet Omicron Persei 8, repeated conquerors of Earth. They want to see the TV show Fry ruined, about Jenny McNeal (a transparent Ally McBeal parody). Human President McNeal thinks that he is the McNeal, so he decides to fight back. The human defense is lead by now 25-Star General Zapp Brannigan. He leads a spirited defense with his usual incompetence and cowardice. The Star Wars influenced space battle is really good. Better than any live action space battle on TV. The humans are defeated and President McNeal is turned over to the Omicronians, who vaporize him for not being the McNeal they are looking for. Which opens up the way for Nixon’s return in Season 2. Fry now realizes that the McNeal they aliens are looking for is the one from TV. That’s no why people watch TV. Clever things make them feel stupid and unexpected things make them feel scared … TV audiences don’t want anything original. They want to see the same thing they’ve seen a thousand times before. Through Fry’s intervention , they fix the episode enough to please Lrr, and the what’s left of the world is saved. The TV show seen it particularly brilliant. From Zoidberg’s Prosecutor Ramirez (Gracias) to Farnsworth at least partly believing the line that says he died. And while it contrasts the everything is always back to normal at the end with the destruction of Earth, by the next episode everything is back to normal. This episode has everything: action comedy and pointed cultural analysis. When Aliens Attack shows all the Futurama has to offer. I would say that this is the episode where the show fully hits its stride the show was good before this, but it is largely great afterwards.